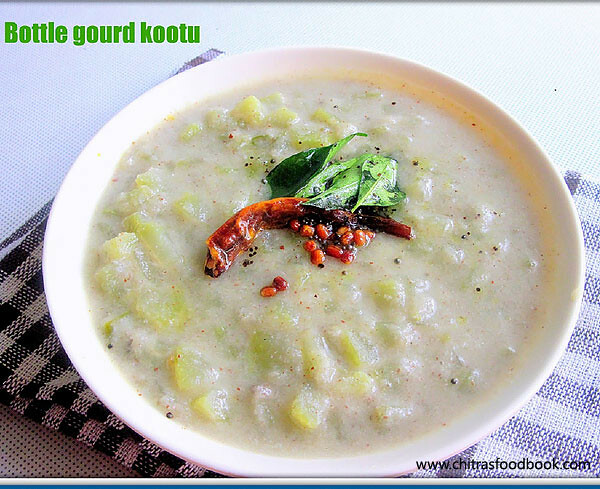 I learnt this Sorakkai Kootu recipe ( Suraikai in Tamil, Sorakaya in Telugu, Bottle gourd in English, Lauki in Hindi) from my MIL.Whenever I buy bottle gourd, I prepare this sweet kootu or paal kootu for rice. With vathakuzhambu, it tastes divine. We make this kootu in two ways. One version tastes sweet and the other one is a spicy version. But my vote goes to the sweet version. I love it a lot.!! Try whichever you like. Lets see how to make Sorakkai kootu for rice in 2 different ways. Milk (optional) to add at the end. Wash and peel off the outer skin of bottle gourd . Cut into two halves.Now remove the spongy center portion which has seeds. Finely chop the hard portion and add the salt and water. Pressure cook up to one whistle.Meanwhile , grind the grated coconut,green chillies with rice flour adding little water or milk. Now open the cooker and add the powdered jaggery . Mix well. Let it boil for few minutes.Finally add the ground coconut mixture and allow it to thicken .. Add milk at the end if necessary .Temper all the ingredients given above in the same order. Add to kootu .Mix well and serve with Vathakuzhambu. Enjoy ! Wash and peel off the outer skin of bottle gourd . Cut into two halves. Now remove the center portion which has seeds. Finely chop it and add the salt and water. Pressure cook up to one whistle in low flame. Meanwhile , grind the grated coconut with green chilli, cumin seeds, small onion (optional), rice flour adding little water or milk. Now open the cooker and add the ground coconut mixture and allow it to boil . Add milk at the end if you like it. Temper all the items given above and add to kootu. Enjoy with rice and papad ! For variations, add sambar powder instead of green chillies. Select small, tender, and firm bottlegourds (light green and fresh-looking); prick the skin, and if it's thin, it's tender. You can use tender bottlegourd with the peel and tender seeds. To use mature bottlegourd, remove the peel and seeds. Taste the bottlegourds before cooking, as they can sometimes be bitter. Wrap in plastic cover and refrigerate to keep the bottlegourds fresh. Use them for curries, soups, salads, chutneys, jams or desserts. Their neutral taste lends itself to a variety of dishes, both savory and sweet. healthy kootu!! looks yummy! adding sambar powder sounds new and gives nice flavour! looks so delicious..very tempting clicks!! Both the kootu's look yumm, but I too wud favor the sweeter version..
both the version sounds so yummy and tempting...excellent preparation !! I love it a lot too, its been ages since i made it! I imagine kootu and vatha kuzhambu that would be heaven! Love the paal kootu! Very delicious n yummy yum kootu,lovely!! Very delicious and yummy kootu! This is a new recipe for me. Looks really delicious. Must try! 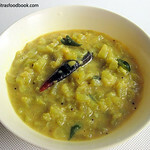 Very nice koottu with surakkai. Love this. The health benefits are amazing dear. 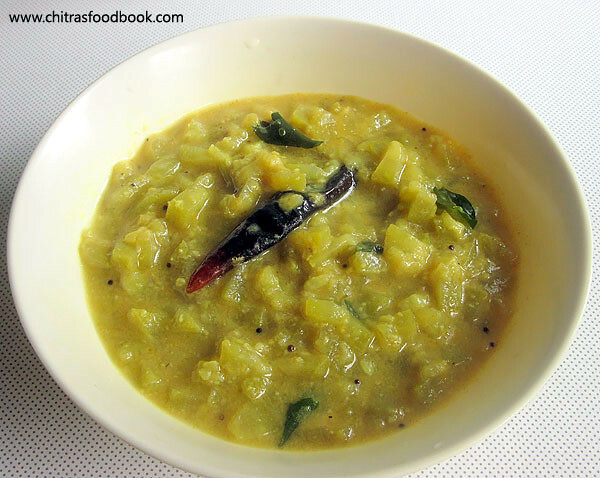 Chitra, this sounds yummy and just like our Mulagushyam recipes. I bet it would be delicious with curd and pappadums!